The Cold War Was Only on Vacation. The Crimea is lost. The challenge now is to avoid a wider conflict with a Russia bent on absorbing more territory and further extending its influence into Eastern Europe. To avoid an eventual choice between feeding Russia’s appetite for its lost empire and a hot war, European and U.S. leaders must embrace expensive and politically tough economic and defense choices. Save petroleum, aluminum and a few less significant products, the Russian economy is broadly uncompetitive in global markets. Oil and gas account for 75 percent of exports and 50 percent of Moscow’s revenues, and Russia depends on imports from the European Union for technology and many consumer goods. It even buys ships to modernize its navy from France. U.S. and European economic sanctions on Russian political and military leaders responsible for the Crimean invasion would make a statement, but are unlikely to have any tangible impact on Vladimir Putin’s behavior. However, if the Europeans phase out purchases of Russia’s gas, it has few options to sell it elsewhere. Putin would be starved for cash to finance his military and spread benefits to political cronies. Replacing Russian gas — which accounts for 30 percent of European supplies — won’t be cheap or pleasant. They must frack to develop shale gas, re-embrace nuclear power and accelerate solar and other alternatives. For French shipbuilders, German equipment manufacturers and technology and consumer goods producers throughout Europe, cutting off Russia’s most important source of hard currency to buy what they make would be wrenching. Still, it would impose far more systemically destabilizing penalties on Russia. More than Russian guns won the referendum in the Crimea for Putin. The sad state of the economy and political corruption in the Ukraine made the former Russian possession vulnerable to reacquisition. To halt Russian expansion, the European Union must do much more to assimilate the Ukraine and other former Soviet states into the Western economy by building infrastructure and moving significantly more industry into these regions, buying a lot more of their exports and imposing aggressive conditions for economic and political reforms in exchange for those benefits. All of this would be provocative to Moscow and require rebuilding NATO forces, and moving those further east into Romania, the Baltic and aggressively courting cooperation with Belarus. The Germans and the Americans have the economic resources, but have demonstrated inadequate commitments to giving real meaning to the economic and security commitments the West made to Eastern Europe, for example, through the 1994 Ukrainian security agreement, at the end of the Cold War. Now, Putin and his political allies, chastened by the loss of an empire and emboldened by Russia’s petroleum wealth, are exploiting western neglect of former Soviet states. In America, President Obama’s economic policies have boiled down to raising taxes, cutting defense spending and building out a European-style welfare state — universal healthcare and broadening the earned income tax credit. And he has ducked pension and benefits reform that greatly limit the punch of the U.S. military. Stiffening NATO commitments to Eastern Europe would require German and U.S. governments to step up and pay for stronger militaries, and for the Americans to reform a bloated Pentagon. In Germany and the United States, taxes are already quite high, even by Cold War standards, and the obvious tradeoff between guns and butter would hit the Obama and Merkel governments where it hurts most — their standing with voters who have come to expect wider and wider welfare benefits. The greatest courage will be required from German Chancellor Angela Merkel and Barack Obama, or each will bequeath to their successors a much more dangerous world. Russia will enjoy a stranglehold over European energy supplies and boast a modernized military to gradually coop and reclaim former Soviet states and expand its influence throughout Europe. The Cold War never really ended, it just took a Black Sea vacation. Russian Newsman: Moscow Could Turn US to ‘Radioactive Ash’. MOSCOW — A Kremlin-backed journalist issued a stark warning to the United States about Moscow’s nuclear capabilities on Sunday as the White House threatened sanctions over Crimea’s referendum on union with Russia. Crimeans Overwhelmingly Vote for Secession. SIMFEROPOL, Ukraine — The head of the referendum committee in Ukraine’s Crimea region says more than 95 percent of voters have approved splitting off and joining Russia. Mikhail Malishev said the initial result came after more than 50 percent of the ballots had been counted. Speaking two hours after polls closed, Malishev said turnout was 83 percent — a high figure given that many who opposed the move had said they would boycott the vote. Underlining how Moscow’s military takeover of the peninsula two weeks ago has driven Russia and the West into a crisis with echoes of the Cold War, Vladimir Putin and Barack Obama spoke by telephone and, according to the Kremlin, the Russian and U.S. presidents agreed on a need to cooperate to stabilise Ukraine. The Kremlin said Putin told Obama the referendum was legitimate and he expressed concern about the Ukrainian government’s failure to stamp out violence against Russian speakers in the country. “Vladimir Vladimirovich Putin drew attention to the inability and unwillingness of the present authorities in Kiev to curb rampant violence by ultra-nationalist and radical groups that destabilise the situation and terrorise civilians, including the Russian-speaking population,” the Kremlin said. It said Putin suggested European monitors should be sent to all parts of Ukraine because of the violence. Kiev said Moscow’s build-up of forces in the Black Sea peninsula was in “crude violation” of an international treaty, and announced plans to arm and train 20,000 members of a newly-created National Guard. U.S. Secretary of State John Kerry told Moscow that Washington would not accept the outcome of the vote in the region, which has an ethnic Russian majority and was transferred to Ukraine by Soviet rulers only 60 years ago. The White House also warned Moscow to expect sanctions while foreign ministers from the European Union, which has major trade ties with Russia, will decide on possible similar action in Brussels on Monday. But Putin rejected Western accusations that the referendum was illegal, saying it respected the will of the Crimean people, while his foreign ministry said it had agreed with the United States to seek a solution to the crisis through constitutional reform. “We will find all of them – if it takes one year, two years – and bring them to justice and try them in Ukrainian and international courts. The ground will burn under their feet,” he told a cabinet meeting. Yatseniuk had just returned from a U.S. trip where he won expressions of moral support but no offers of weapons. Kiev’s pro-European rulers, who took power after last month’s fall of Moscow-backed President Viktor Yanukovich to popular unrest, have been as powerless as Western governments to prevent the referendum or buildup of Russian forces on Ukrainian territory. At a polling booth at a school in Simferopol, the Crimean regional capital, dozens of people lined up outside to cast their ballots early. Vasilyeva voiced fears common among some of Ukraine’s native Russian-speakers about the consequences of Yanukovich’s exit after protests in which over 100 people were killed. “We want to leave Ukraine because Ukrainians told us that we are people of a lower kind. How can you stay in such a country?” she said. But ethnic Tatars – Sunni Muslims who make up 12 percent of Crimea’s population – said they would boycott the vote despite promises by the regional authorities to give them financial aid and proper land rights. Crimea’s 1.5 million voters had two options: union with Russia or giving their region, which is controlled by pro-Kremlin politicians, the broad right to determine its own path and choose relations with whom it wants – including Moscow. A local Tatar television channel broadcast the count at one small polling station. It took just a few minutes for officials to stack up the papers, virtually in a single pile. One gave the result as: “166 for, 2 against, 1 spoiled”. By “for” she clearly meant the first option on the paper, for union with Russia. But Ukrainian acting defence minister Ihor Tenyukh accused Moscow of going far beyond an agreed limit on servicemen – which he said was 12,500 for 2014. “Unfortunately, in a very short period of time, this 12,500 has grown to 22,000. 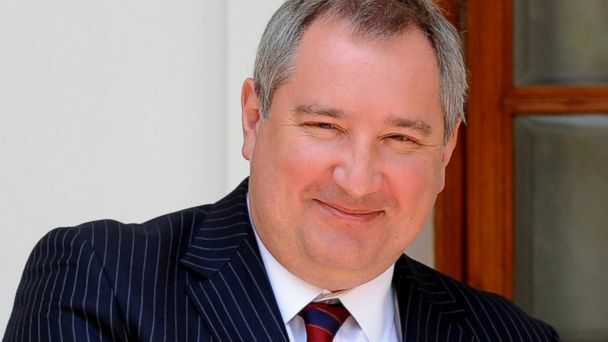 This is a crude violation of the bilateral agreements and is proof that Russia has unlawfully brought its troops onto the territory of Crimea,” he said. This figure had risen from 18,400 on Friday. “Let me say once again that this is our land and we will not be leaving it,” he told Interfax news agency. Tenyukh later said that the defence ministries in Kiev and Moscow had declared a truce until March 21 during which Russian forces, who have been arriving by boat and helicopter, would leave Ukrainian military facilities untouched. Many Crimeans hope union with Russia will bring better pay and make them citizens of a country capable of asserting itself on the world stage. But others saw the referendum as a land grab by the Kremlin from Ukraine, whose new rulers want to move the country towards the European Union and away from Russia’s sway. Putin defended the vote in a phone call on Sunday with German Chancellor Angela Merkel, saying it complied with international law, including Article 1 of the U.N. Charter which states the principle of self-determination of peoples. “It was emphasized that Russia will respect the choice of the Crimean people,” a Kremlin statement said. Putin has said he must protect the Russian-speaking population in Ukraine from “fascists” in Kiev who ousted Yanukovich. Western powers largely dismiss his characterisation of the new authorities as successors of Nazi-allied Ukrainian forces which fought the Red Army in World War Two. Russian Foreign Minister Sergei Lavrov urged Kerry on Sunday to encourage authorities in Kiev to stop what he called “massive lawlessness” against the Russian-speaking population. In their second phone conversation in two days, Lavrov and Kerry agreed to seek a solution to the crisis by pushing for constitutional reforms in Ukraine, Russia’s foreign ministry said in a statement. However, Kerry told Lavrov that the United States would not accept the referendum result and said Russia must pull back its forces to their bases, a senior State Department official said. The White House also warned Putin that he faces international isolation that will hurt Russia’s economy. “You can expect sanctions designations in the coming days,” White House senior adviser Dan Pfeiffer told NBC’s Meet the Press. The administration is preparing to identify Russians whom the United States will seek to punish with visa bans and asset freezes that President Obama authorised last week. At the United Nations, 13 Security Council members voted for a draft resolution on Saturday saying the Crimea result should not be recognised internationally, but Moscow exercised its veto while China abstained. Tensions over Crimea appear also to be spreading in cyberspace. Unidentified hackers brought down several public NATO websites with attacks on Saturday, the alliance said. Apart from Crimea, tension is also running high in parts of the Russian-speaking industrialised east of Ukraine near the border with Russia, with clashes between rival demonstrators that Moscow has seized on to support its case that ethnic Russians are being victimised. approved splitting off and joining Russia. McCain: US Should Give Ukraine ‘Long-Term’ Military Aid. Sen. John McCain called for massive military assistance to Ukraine Saturday, while warning that Russia’s actions in its former Soviet neighbor could lead to unprecedented measures by the United States and it allies. “Ukraine is going to need a long-term military assistance program from the United States,” the Arizona Republican told reporters a Senate delegation visit to the Ukrainian capital, voicing what he said was a personal opinion. His comments came shortly before Kiev accused Russia of invading a region in southeast Ukraine, neighboring Crimea. McCain said he was “deeply concerned” about previous reports of Russian troops moving closer to Ukraine’s eastern border and conducting snap military drill there, after having effectively seized Crimea at the start of the month. So far, Washington has vowed to impose travel bans and asset freezes on targeted Russians in what has turned into the worst East-West faceoff since the Cold War. Ukraine is meanwhile headed for a breakup as southern Crimea prepares to vote on Sunday in a referendum that is widely expected to favour reattachment to Russia. McCain however refused to accept reports that Kiev might sacrifice the Black Sea peninsula in exchange for keeping its eastern majority Russian-speaking region. “The last thing we want to do is send any message to the people in Crimea that we have abandoned them,” he said. The US senators — who met with Ukraine’s new leaders and members of the Maidan protest movement in Kiev — did not mince their words on the eve of the Crimean referendum, organized by the self-appointed pro-Moscow regional authorities but slammed as illegal by the new authorities in Kiev and foreign capitals. Ukraine on Saturday accused Russian forces of invading the village of Strilkove off the northeastern edge of the Crimean peninsula, and vowed to use “all necessary measures” to ward off the attack.